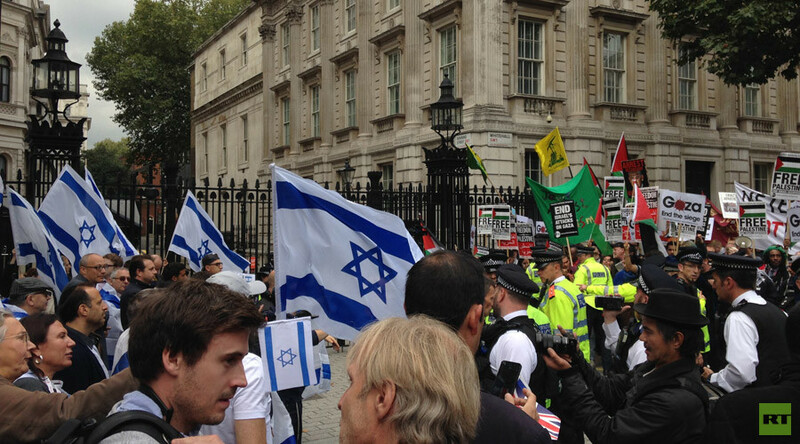 Clashes broke out Wednesday when activists protesting Israeli Prime Minister Benyamin Netanyahu’s UK visit faced opposition from pro-Israel groups outside Downing Street, completely blocking traffic on Whitehall. Police intervened to prevent verbal exchanges escalating, as a number of scuffles broke out. 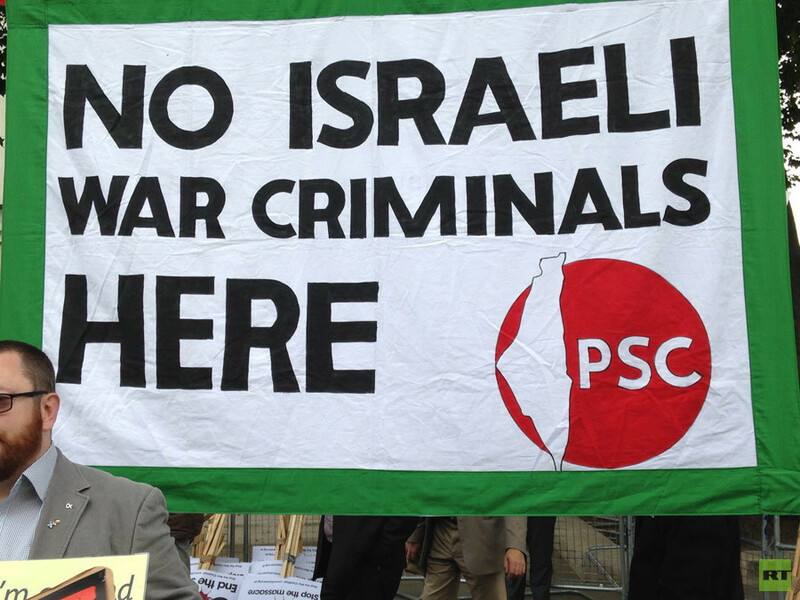 The initial protest was organized by the Palestine Solidarity Campaign (PSC) with the support of various groups including War on Want, Palestine Forum in Britain, Campaign for Nuclear Disarmament (CND), Stop the War, and British Muslim Initiative, to oppose Netanyahu’s visit to the UK. A petition calling for Netanyahu’s arrest for war crimes had previously attracted over 100,000 signatures. 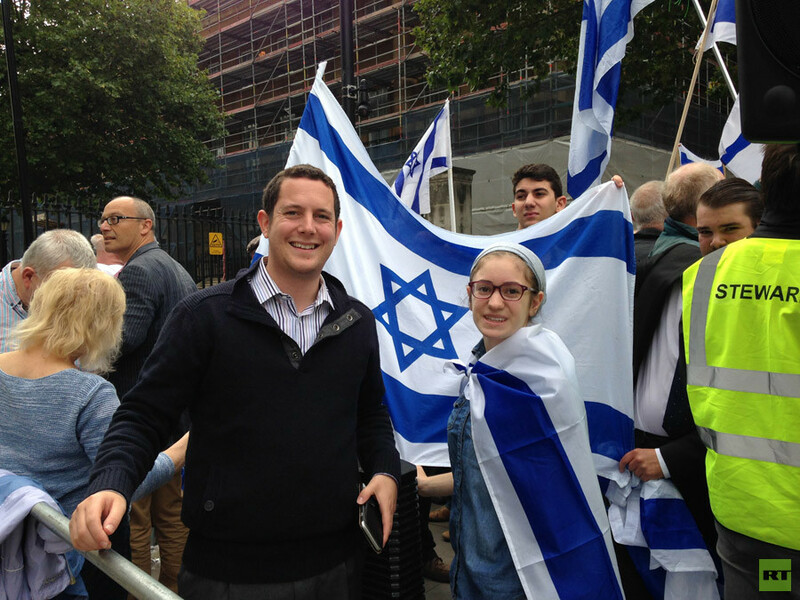 But pro-Israeli demonstrators came out to oppose the demonstration and show their support for Netanyahu and Israel, saying they wanted to promote peace in the region. As tensions mounted between the two groups, heated words were exchanged. Both sides claimed they were racially abused. 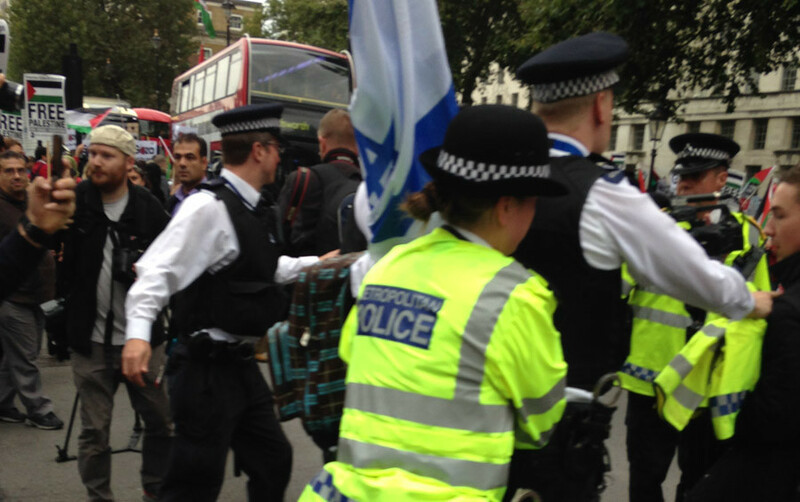 One man told police he was called a “dirty Jew” by anti-Netanyahu protesters. 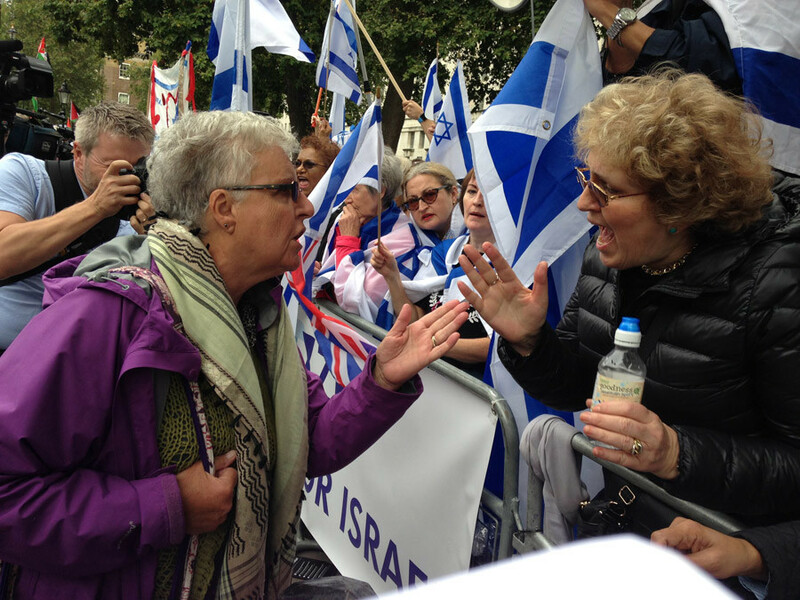 Another was seen shouting “terrorist” at a pro-Israeli demonstrator who walked past the anti-Netanyahu camp carrying an Israeli flag. Cameron and the Israeli PM are expected to meet Thursday to discuss bilateral agreements and Middle Eastern relations, including the conflict in Syria and the Iran nuclear deal. Hugh Lamming, Palestinian Solidarity Campaign chair and organizer of the pro-Palestine camp, told RT the protest was in response to the government’s view on war crimes. 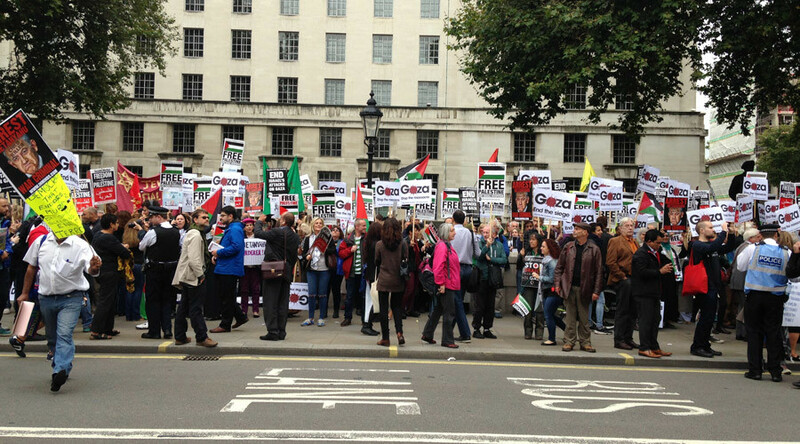 But heads of the Jewish Leadership Council (JLC), who organized the counter demonstration, condemned the rally.